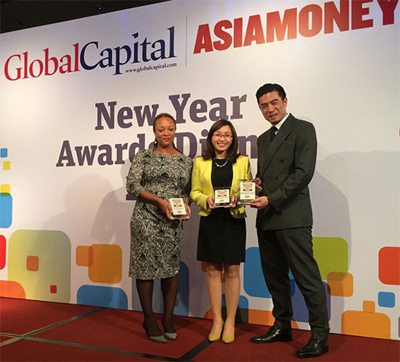 FPT was recognised on February 17 as the company with the best corporate governance in Vietnam by financial publication Asia Money. FPT won four out of five important categories including Best for Disclosure and Transparency; Best for Shareholders’ Rights and Equitable Treatment in Vietnam; Best for Responsibilities of Management and the Board of Directors in Vietnam and Best for Investor Relations in Vietnam. These awards recognised FPT’s efforts in corporate governance in general and investor relations in particular. In nearly 10 years of being listed on the stock exchange, FPT has been named among top publicly listed companies which pay the highest pidend and ensured shareholders’ rights and equitable treatment. In terms of disclosure, FPT has always been one of the companies that publish the earliest financial statements among the list of VN30 - Top 30 firms in terms of scale and complexity in reporting. In addition to quarterly and annual financial statements, FPT is one of few companies to publish monthly business results. Besides the minimum lawful requirements, FPT also improved the corporate governance quality in accordance with international standards by appointing the world's leading experts on information technology and business administration as independent members of FPT’s board of directors. In addition, FPT’s management team has also presented at quarterly investor meetings, and participated in many major investment conferences at home and abroad to better communicate with not only shareholders but also potential investors. In 2015, FPT’s investor relation department as well as senior leaders has met 131 foreign investment funds in order to introduce FPT and helped make FPT’s name more popular in the investment community. The Corporate Government Poll is an annual event organised by Asia Money Magazine – one member of the Euromoney group specialising in financial markets in Asia. This eighth event was voted by more than 350 CEOs, chief investment officers (CIOs) of investment funds, and research directors and senior analysts of securities firms from 12 countries and territories throughout Asia Pacific, including India, Indonesia, Korea, Malaysia, Philippines, Singapore, Taiwan, Thailand, Australia, China, Hong Kong and Vietnam./.